For a change, I prominently feature a shaking behind instead of a grumpy philosopher! Actually, that’s just much better, why don’t I start a disco series solely dedicated to great swinging butts? While I think about it, I hope you have a good time swinging your bottom to this collection of base shakers! Carefully selected to deny you breaks from “fundamental” exercise. For the time being, this mix will not appear on Soundcloud. If it does appear there, I will announce it on Twitter. This is a late post, since the mix in question appeared a good two months ago. 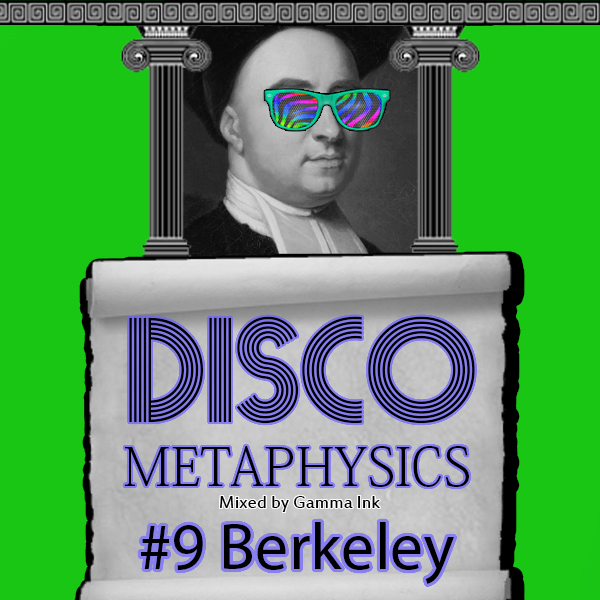 It’s the continuation of the Disco Metaphysics mix series, which now focuses on musical themes instead of philosophers. It’s a bit late for a yearmix, but it’s never too late to discover some new musical gems. So here you are, a collection of tracks that I think deserved more attention last year! If you enjoy the mix, heard some new track you liked, leave a like comment or follow me on MixCloud, Soundcloud or Hearthis. It’s really appreciated! It’s been a while, but it should be worth it, because this is Disco Metaphysics’s tenth anniversary (in terms of mixes at least…)! I’m celebrating it with a jolly image of Socrates, and 30 tracks in an hour. I know I don’t know anything, but if you know that you like it, please like, share and let me know in a comment! Late (at least on here), but great (if you ask me): the latest Disco Metaphysics. This one is ideal. As everything is, according to British philosopher George Berkeley. No matter, this mix throws in some different genres than the usual. I hope you enjoy it! If you do, please share it with others! I recently uploaded the 8th edition in my Disco Metaphysics mix series. This one starts out with some slower funk, then shifts to some more deep house like nu disco. If there ever was one philosopher who was mad about mad grooves, it was Desiderius Erasmus. Did he say that the desire to dance grows with dancing? Anyway, it was pretty close. He praised folly, so I gave him folly colours. Then I threw some funk in it. That was a strict requirement.